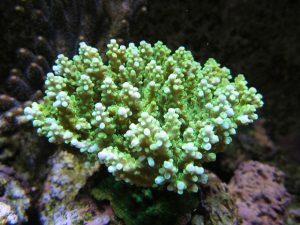 The tank is primarily an sps acropora tank with a few soft coral such as mushroom and pulsating xenia. 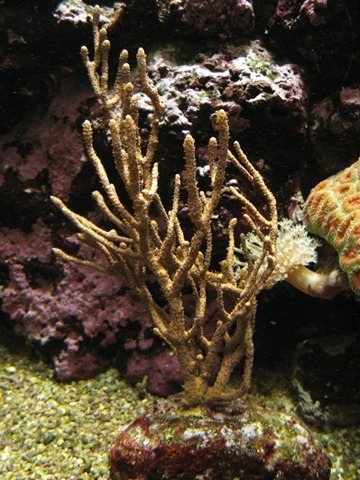 There are two clams and a corkscrew anemone. When using the MH lights I noticed that the coral would look and grow ok for about 6 months and then gradually go downhill as the lights got old. I changed the lights every 12 months as they are expensive to purchase in Australia. Recently we started to experience brownouts on a regular basis in our suburb. This caused the MH lights to turnoff but not have enough time to cool before trying to start again. This resulted in severe damage to the lights. I had to choose to either replace the MH lights with more of them, shut the tank down or go for a completely new lighting system. Considering the trouble I had had with MH lights I decided to go for a new lighting system. Shutting the tank down was seriously considered, I do not have the resources to change bulbs every six months. A friend has Orphek LED lights and raves about them. I decided to give them a try. 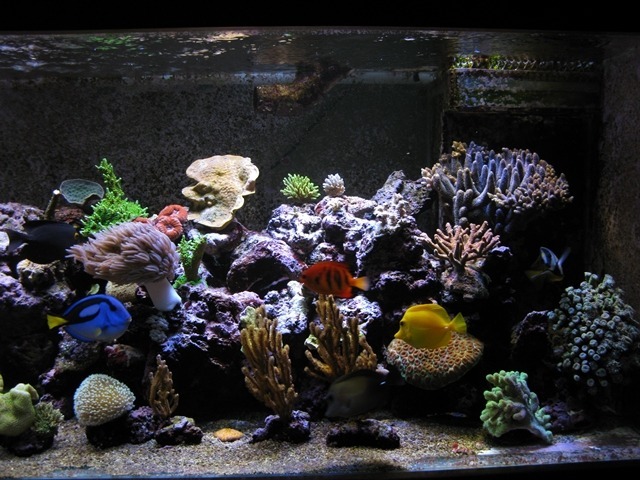 When I installed the LED lights the coral in my tank were half dead and I knew that strong lighting now would be the end of them, the tank was looking very sad. I initially set the lights on the coral acclimation program for two weeks. The improvement was almost instant. 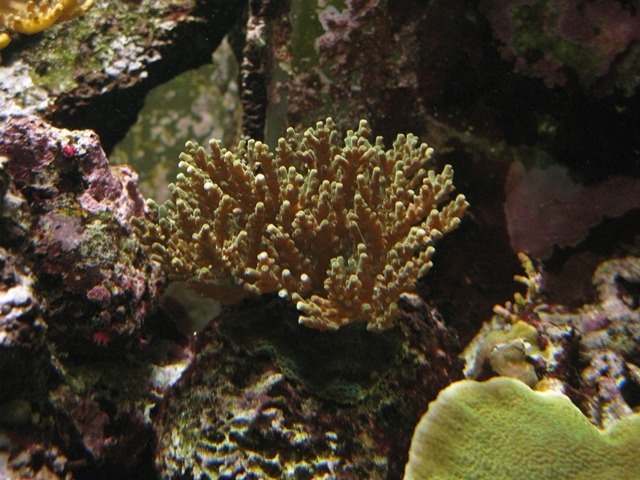 The next day, coral that had not extended polyps in months was starting to open up. 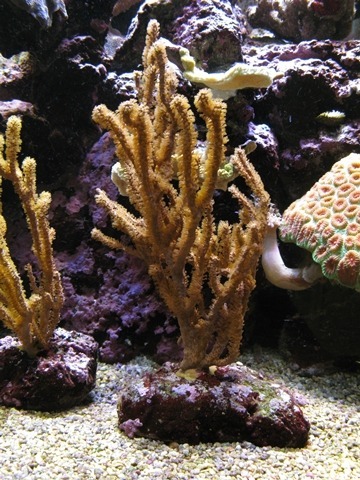 By the end of two weeks the coral had stopped dying and were holding their own. 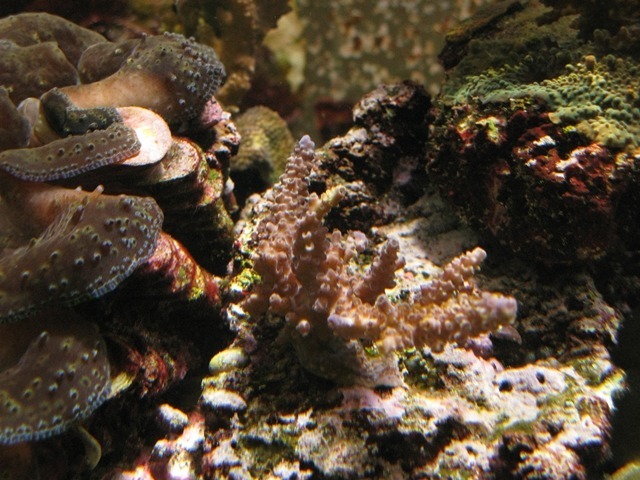 I then changed to Program 2 – Increased Coral Growth. I know that there is other LED lighting out there and I am not going to comment on how good or bad it is as I have not tried any of it. If you wish to try it good luck. What I can and will say is that the results since using Orphek AtlantiK lights have been nothing short of miraculous. If Orphek lights were rubbish I would say so. I have had the lights for just over three months and in that time I have seen coral that was brown, half dead and the rest of it dying now thriving. 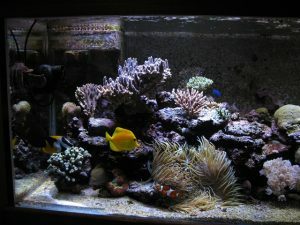 Even when my tank was doing well I never had that sort of growth. In fact the response from all the coral has to be seen to be believed. 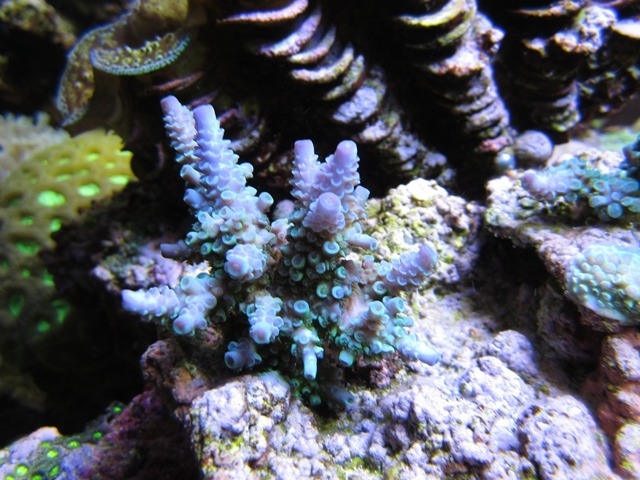 For over a year I was not willing to get new coral as I was not sure if it would live. 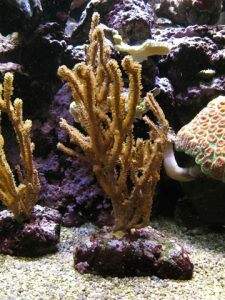 Now I am sourcing new coral, as money permits. Even the clam likes it. A part of the mantle of one of my clams had not opened fully for months. Now it is always open. Now for the cons: The power supplies that come with the Atlantiks have a thermostatically controlled fan. When this fan turned on I found it rather annoying. Also, having electronics heat up and then cool down on a regular basis is not good for it. Electronics prefers to stay cool. My solution was to mount an Arctic 50mm 12DC CPU cooling fan on top of the power supply and only supply it with 9v. This was enough to cool the power supply constantly so the internal fan never turns on and I cannot hear the Arctic fans. The power supply stays cool. I am also going to put a bead of silicon around the edge of the acrylic that forms a lid over the LED’s as I have found that some salt is getting in between the acrylic. Amazing were salt will get. Even 30cm above the water. The only user manual, if you can call it that, is on the Orphek news site. Could be better. Before the lighting was changed I used a Canon G9. The white balance was set manually to get the colour as close as possible to what I was seeing. No underwater photos were taken before the lighting was changed so there is some distortion from the glass on some of the coral photos. After the lighting was changed I used the G9 for the external photos with manual white balance. The close up underwater shots of the coral were taken with a Canon IXUS 115 HS in an underwater housing with manual white balance again to get the colour as close to what I am seeing. I think you will agree that the difference is striking and it only took three months. I could not imagine EVER using any other sort of lighting EVER. The tank is starting to look better than it ever has. I don’t have to worry about heat issues in summer ever again. I don’t have to change lights for a decade or more. I get constant light with a fantastic spectrum and plenty of output and the spread is good too, although another row would be better but not necessary. The construction of the lights is good. I cannot comment on their reliability as mine are only three months old. My friend has had his for two years with no issues. 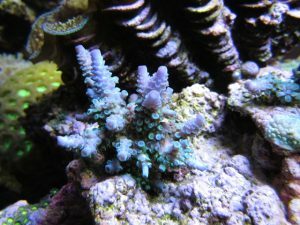 If anyone out there says that these lights cannot provide enough light for sps acropora down to 300 mm below the surface and even to 600 mm at a push then they have never tried them and don’t know what they are talking about. My tank is proof they can and do! I thoroughly recommend these lights to anyone with a reef tank looking to go LED. You will not regret it. You will regret not having done it sooner. 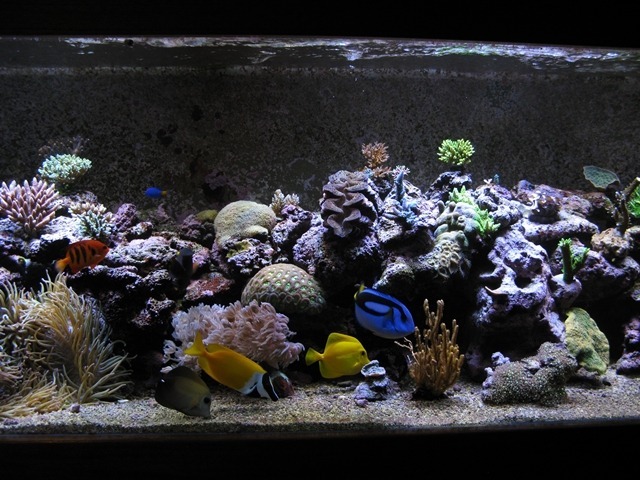 The pictures you see on Orphek web site of customers tanks are no joke and are not “photoshopped”. The coral really does respond like that. I have provided before and after photos of my coral with the date to show what these lights do. Unbelievable!